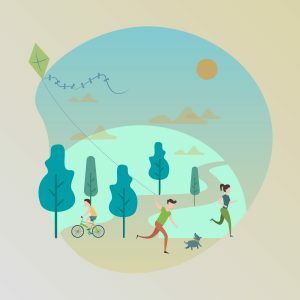 Air quality plays a crucial role in human health today. However, due to the excessive emissions of pollutants, maintaining minimal air quality is proving to be a challenge. And this will be more and more important going forward if we look at future macro trends, with more and more people living in large urban areas. 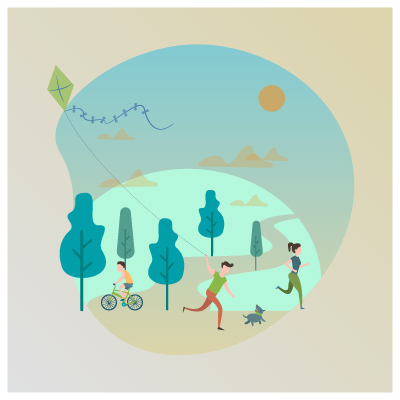 Pollutants are not only generated by transport, in cities we have heating and industrial activities that also contribute but for specific pollutants. Some of these are the so called NOx (nitrogen oxides) and PM (particulate matter). Yes… when it comes to these, transport would have to quickly provide concrete solutions! Nevertheless, a lot of progress has already been done ever since the introduction of emissions standards in Europe (early ‘90s). This was when vehicles first started to be equipped with “catalysts”. What does it mean? Exhaust gases generated from the engine react through the catalyst, cleaning up the content from harmful pollutants. Comparing a vehicle built in the early ’90s with one from today, out-of-the-tailpipe pollutants are reduced at least by a factor of 100! 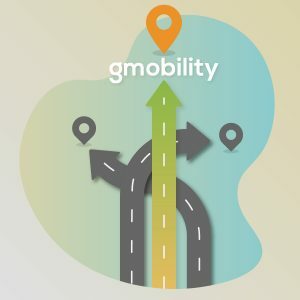 Considering the progressive tightening of pollutant emissions standards, future internal combustion engines, even when fueled with conventional fuels, will be “clean”. But cost and complexity of the gas after-treatment systems (the “catalyst”) for ensuring future standards under real driving conditions will increase, especially for Diesel engines. 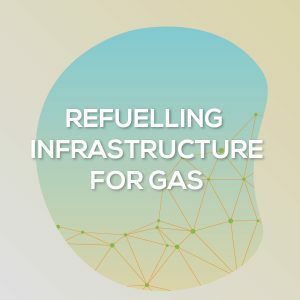 Looking to the need to ensure more and more clean solutions, using an intrinsically clean fuel such as natural gas is a tie breaker! Why? You have a cleaner combustion process since the catalyst will be both simpler and able to ensure a high conversion efficiency! 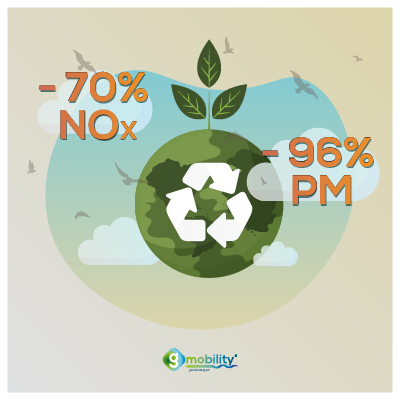 So, gmobility contributes to improving air quality by reducing NOx with 70% and removing PM by 96% compared to conventional fuels… As such, gmobility is an easy and immediate way to move increase the quality of life in our cities!